Oh how can we possibly be at the end of this journey with you as each set of pages unfolded before our eyes…Now the cover construct to tenderly, solidly hold all the magic you have created. All so completely gorgeous. (((Kristin))) I love that first opening & looking through after the book is bound but as the Ent said it Lord of the Rings, “mustn’t be too hasty!” designing a binding & putting it together requires a lot of planning an attention to detail at every stage, I have built more than my fair share of back to front and upside books! Mo…the making of books, a long-time passion of mine, is truly a work of art in its own way…these pages will take, a “not too hasty” hand for sure. Looking forward to seeing the journey with the making up of the whole set of honesty constructs and drawings..it has been magic to follow along the journey with you…many thanks for the opportunity. (((Kristin))) ah I would love to see some of your books! just laid the last few pages out in sequence with the two variations of XIII, now this version works better, it feels more honest… I think… really need to let them rest for a bit while I make the samples for the covers before committing to it! (((Jude))) too kind, feeling this one is a mistake, the stitched side doesn’t really work and although it’s a pretty drawing, it was made without paying full attention to the form… just finished XIII Mk2 and am not sure if I like it either… need to just let them both rest for a bit, my brain is getting in the way! Hello, dear Mo! 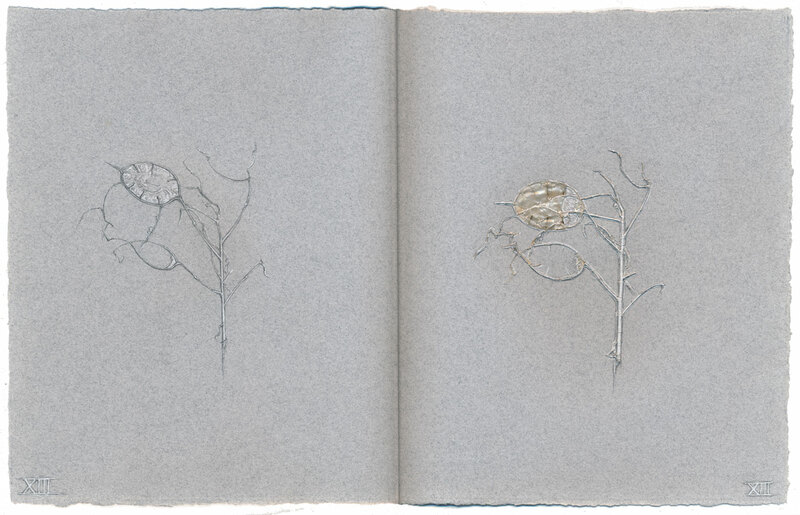 These pages hold your gift of exquisite, both in the seeing & your drawings. I’m wondering which of the XIIIs you will choose? Wouldn’t it be lovely to watch you work in that beautiful light?